Show the sidewalks some love! 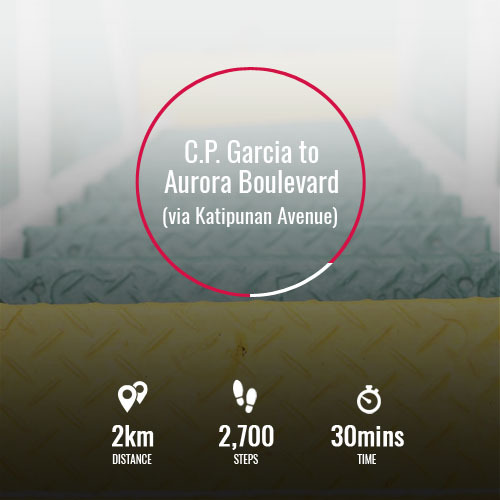 (SPOT.ph) Walking in Metro Manila is never a top-of-mind solution when it comes to getting from point A to point B. With so many people getting stuck in traffic on a daily basis, it's a little weird that people don't recognize walking as the awesome solution that it is! 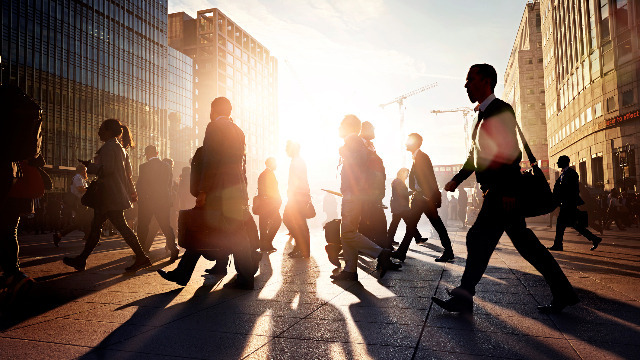 As a matter of fact, many don't realize that certain routes in the city aren't just walkable, but take less time to traverse on foot than by car! Here's a list of commonly traveled routes, and how long it takes to walk them. Think about it: it just takes a few minutes and change to get from one end of Ayala Avenue to the other. You might even take longer in the car with all the traffic that passes through there. Besides, it's an easy walk—wide sidewalks, convenient pedestrian underpasses, and tall buildings that block the sun. Seems like it's far, but it really isn't! The thing about this route is that there are so many establishments to duck into if you're not in a rush. And if you're running errands, you can do all of these easily on foot, since there are banks, groceries, and utility payment services all over this area. 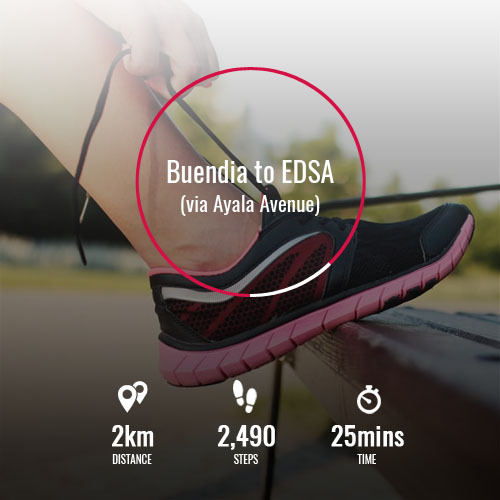 We all know how the Quezon Memorial Circle and Quezon Avenue can get crazy during rush hour, so walking becomes a very viable option in those times. You also get to see all the interesting stuff that's laid out along the sidewalk and being sold by vendors. The stop lights in Katipunan are set at long intervals, which means that there's a good chance you'll be waiting for the light to turn green before getting stuck at the next stop. How about just walking it instead? It's an easy walk through the student-friendly atmosphere. 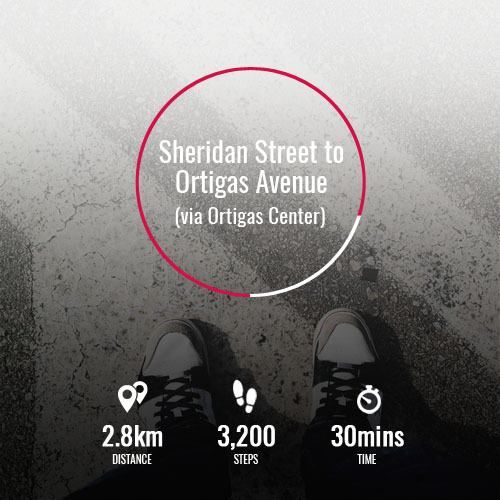 Cut through the newly renovated sidewalks inside the Ortigas Center and get to Ortigas Avenue with ease. It's a whole lot better than getting frustrated in a traffic jam. At least you know you're moving! Pinoys living in Metro Manila are still generally warming up to the idea of walking to their destinations, and that's normal—you can't expect a whole chunk of the population to adopt something like walking just like that. There are, however, certain qualities about walking that make it a really great option: it's a low-impact method of exercise (that's also free! ), it gives one a fresh, new perspective on the city, and it positively contributes to alleviating the problem of there being too many cars on the road. In short, walking is the way to go for the modern, health-conscious, and socially responsible Pinoy. Because walking should be promoted for its numerous positives, it's only natural that folks should be given incentives for taking a walk. That's why Philam Life has created Philam Vitality—a science-backed wellness program that works with you to make a real change to your health. 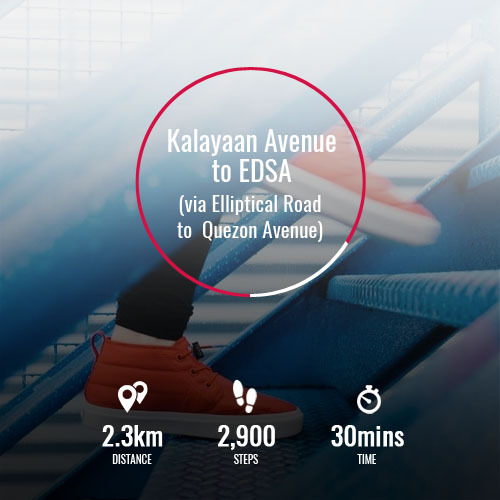 Through the Philam Vitality Active app (available on Google Play and on iTunes), you are able to translate all your healthy endeavors (like walking!) into redeemable points. 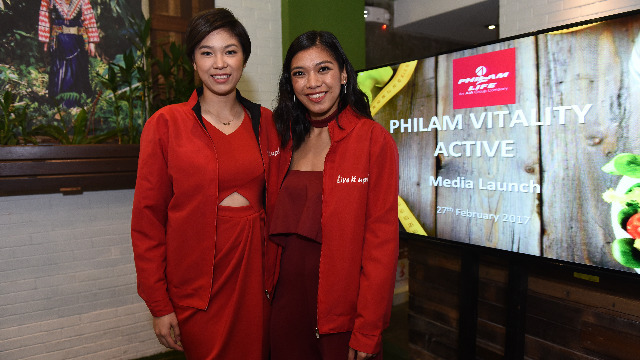 As you make healthy choices (just like the app's product ambassadors, volleybelles Alyssa Valdez and Mika Reyes) like eating right, going to the gym or going for a health screening, you earn Philam Vitality Points. The more points you earn, the higher your Philam Vitality Status and the greater the rewards. The way it works is simple: for a minimum number of steps (tracked through the app), you earn a certain amount of points. These points are redeemable as discounts or freebies from Philam Life’s partner establishments (such as SM Cinema, SM Bowling, and SM Ice Skating, just to name a few). 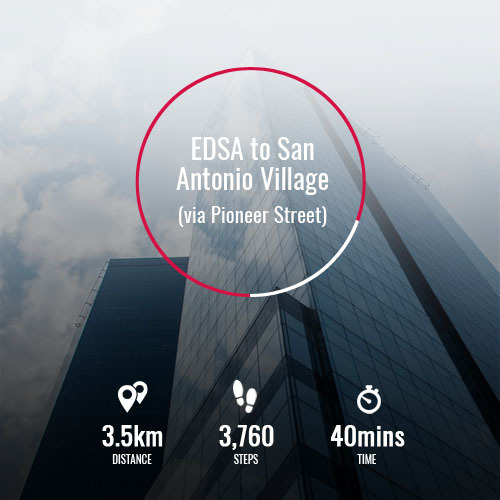 But if you avail of the Premium (paid) version of the Philam Vitality App, rewards are more exclusive, including discounts from SEDA Hotel, Marriott Hotel, and other premium partners. So, thinking of getting into walking more often? You should! For more information about Philam Vitality, click here. Download Philam Vitality from Google Play and from iTunes. This article was created by Summit Storylabs in partnership with Philam Vitality Active.